The fastest DDR4 tool in the industry. Capturing Data at 4000+MT/s! The FS2520 is our newest and fastest logic analyzer probe used to test DDR4 DIMM memory. It is designed to work exclusively with 3 Keysight U4164A logic analysis modules operating in either Quad Sample State or Quarter Channel 10GHz timing modes. This gives the user an extremely effective tool for debugging, testing and verifying DDR4 DIMMs running above 4000MT/s. It’s like having a 100 channel scope. Interposer Design – The FS2520 DDR4 DIMM probe does not sacrifice a memory slot, so you can probe any DIMM, even in a fully populated memory bus. All signals are probed passively. Complete and accurate State analysis over 4000MT/s. View Screenshot. 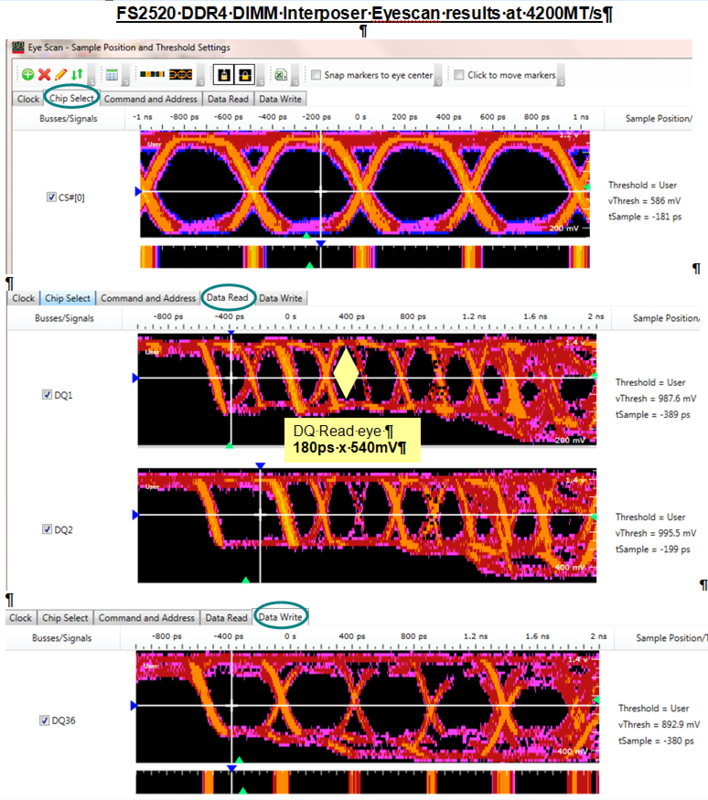 Measure signal integrity of each bit on the DDR4 DIMM with Keysight EyeScan application. View Screenshot. Compatible with all 288-pin DDR4 SDRAM UDIMMs, RDIMMs and LRDIMMs. Quick and easy interposer connection between the DDR4 DIMM memory bus connector and the U4164A-02G Keysight logic analyzer module. Lower Cost and higher signal fidelity with direct attach cables, no need for the added expense of U4201 cables. Short DDR4 DIMM probe etch length makes it more reliable in marginal systems. Note: FuturePlus has carefully simulated and designed this DDR4 DIMM probe to work in your system and it extends the DDR4 bus less than 1.0 inch. 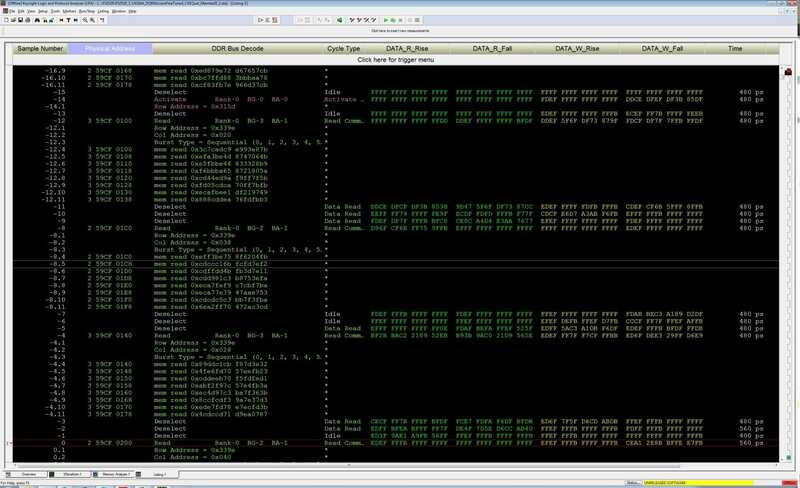 Other factors can have a significant effect on the performance of the whole DDR4 bus analysis system including the BIOS settings of the memory controller, the target motherboard and DIMM design, and the specific DIMM socket being probed. All users are given 30 days to qualify this DDR4 DIMM probe in their system.